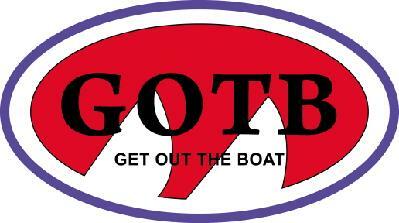 The GOTB campaign’s focus is to get as many boats out sailing & racing as we possibly can. We are in a unique situation here in Juneau Alaska. We have a group of people that love to sail in every condition, fleets that feel more like family than racing foes, and organizations full of excitement and dedicated members. Push that energy outwards to other boat owners you don’t see out racing, boats that have sat too long on their trailers or at their moorage, to anyone in your yacht clubs that aren’t out having fun on the water! To solve this dilemna, we have the mid-week Wednesday series that will go on ALL summer long in the channel. There are a lot of crew and boats daunted by Alaskan Waters. The time commitment to the SEAS Cup and Spirit of Admiralty can be overwhelming. So let's spend a couple of hours each week getting that boat that never gets out or that crew that always wanted to sail, but never had the time to GET OUT! Get out on the water this year, do your local races, make some big regattas, harass other people into sailing their boats! If you have a boat you want help getting out, or are crew looking to get out. Either contact us, or sign up to get notices about all of our sailing events.